Kingdom’s Dawn is a biblical allegory. My older sister had read the whole series several years ago and really enjoyed them. I finally picked up this book in 2015 and found myself reading all six in the series in just over a week. 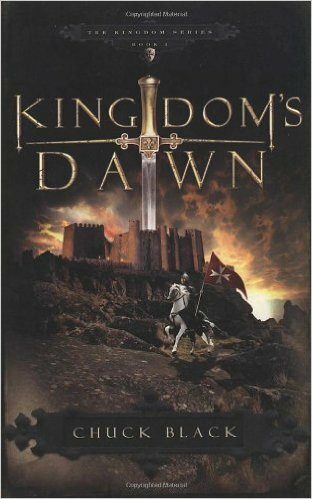 This book is exciting as it takes place in the medieval times. The book does have fighting and killing which to me added a great thrill to the book, but they are a bit descriptive for younger children. There is some drinking in one or two scenes. This is a good read for kids ten and up and may be enjoyed a little bit more by boys than girls.